Good evening, Redlands! I am following Eleanor Roosevelt’s lead and starting a project to share my adventures with you through a daily column. (Did you know the first lady used to stay in Redlands at the Wissahickon Inn when she visited her friend, Frances Willis, America’s first female Ambassador to a foreign country [France]? 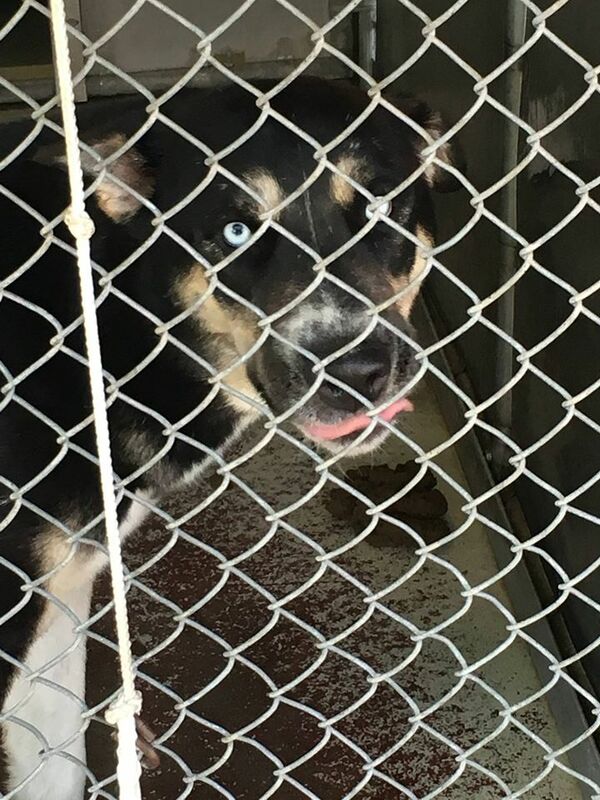 #RedlandsHistoryBites) I’m going talk about yesterday for my first column, because I did a ridealong with the new supervisor of the Redlands Animal Shelter. I have been spending time with city employees on the job since my appointment to the Redlands City Council in November. When I have to make decisions that affect city operations, I want to really understand how we operate — to zoom in on the details like how we can be more efficient or what’s working well, and to zoom out and see how one part of the city may be affecting another. Also I learn. Nobody knows about these departments like the people who work in them. 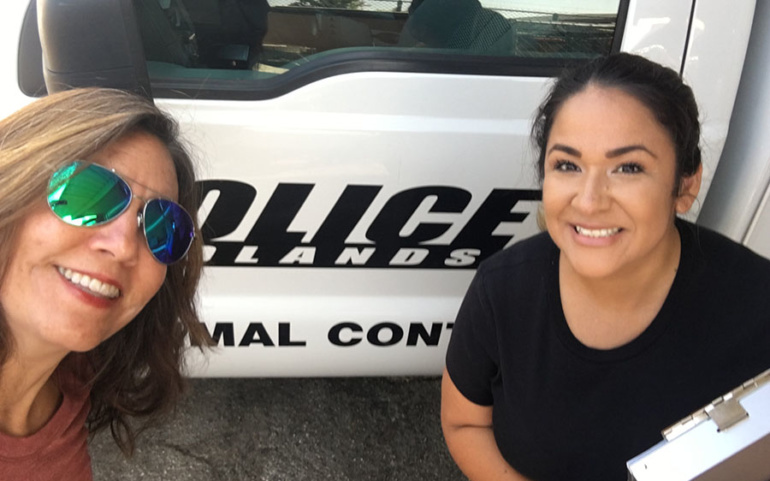 So yesterday I was in an Animal Control vehicle with Officer Sylvia Lemos, on our first call. We went to pick up a deceased pet cat. The first thing I did was warn Lemos that I was going to cry all day. Right away I started learning. I did not know that residents could call the city when a pet dies to have it retrieved. There is a fee for this. People can request to have the ashes returned to them. I also learned that it’s not illegal to bury a pet on private property as long as it’s more than 3 feet deep. We responded to an allegation of animal cruelty next. Officer Lemos, who has worked at multiple shelter facilities and specializes in animal cruelty investigation, was impressive. 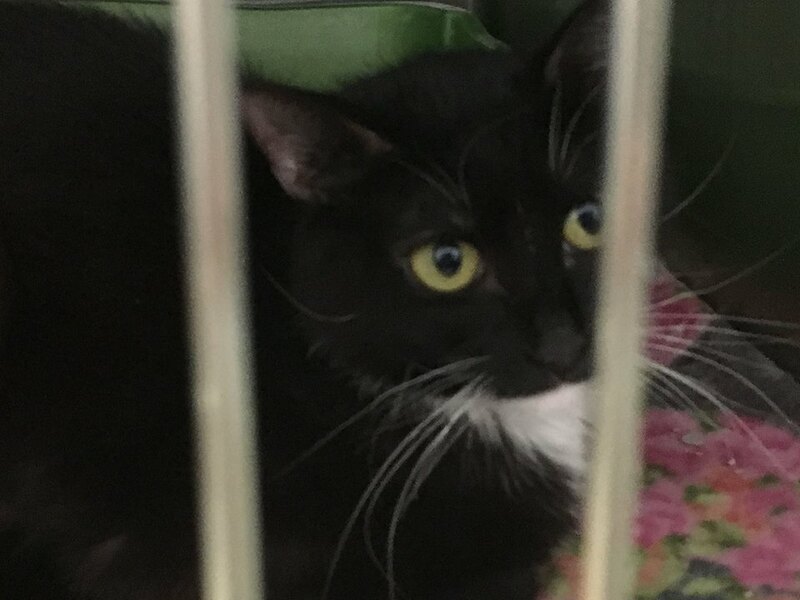 She asked questions without accusation, kept her focus on helping the pet owner get in compliance with city codes and analyzed the environment sharply. From there we retrieved an injured opossum. They really do play dead, it turns out, and this one ended up in the trash by the curb because he was convincing. Officer Lemos fosters opossums. She got this one into the air-conditioned compartment in the back of the truck and we headed back to the shelter. 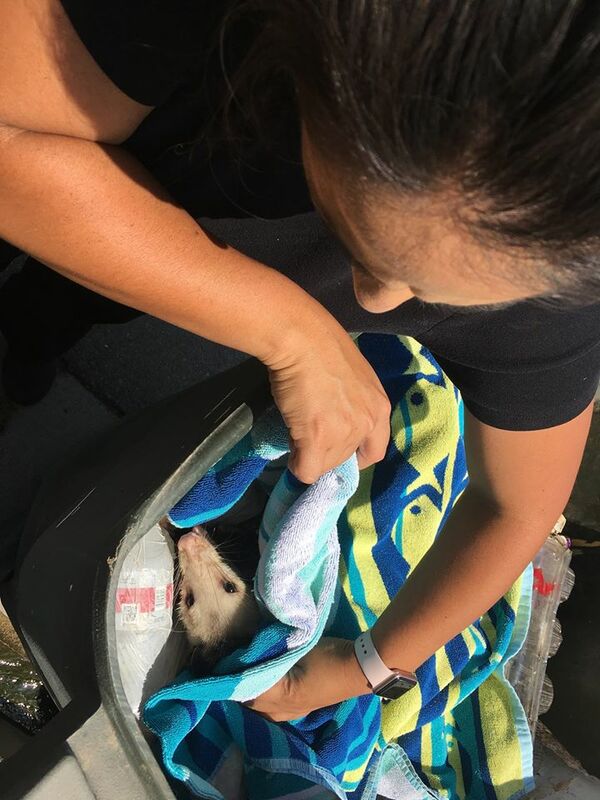 Officer Sylvia Lemos gently lifted an injured opossum by his scruff from a trash can. She told me on the way that she has a lot of ideas about how we can both increase revenue and services, while decreasing the need for kennel space. When we got to the shelter, it was packed with people adopting pets. I grabbed the office cat and sat for cuddling and observation as Lemos jumped in to process adoptions. Through the window I watched the cooling misters blast the open-air kennels. I learned that open-air kennels reduce disease by a huge percentage that I forgot to write down. Lemos told me it’s good for the dogs’ mental health, too, to see people walking by. They can even learn behavioral skills that make them more adoptable when they see calm dogs getting treats. I was pleased to learn also that classical music is piped over kennel speakers for the dogs. If only I wasn’t at capacity for dogs..
We went out afterward to retrieve a deceased roadside dog and then try to catch a stray. I always ask what people wish the city understood, and how the city can better support the staff when I do these ridealongs. Lemos was effusive that she has not in all her experience seen such a good shelter with so much support — from the city, from the police department, and from the community. She is overcome. I have long been enamored with the volunteers here who give so selflessly to these homeless animals. It was when I was singing their praises to Lemos that I actually cried. I am overcome too.